All and any new features aint going to matter one bit if they dont fix their engine and stability/quality problems. 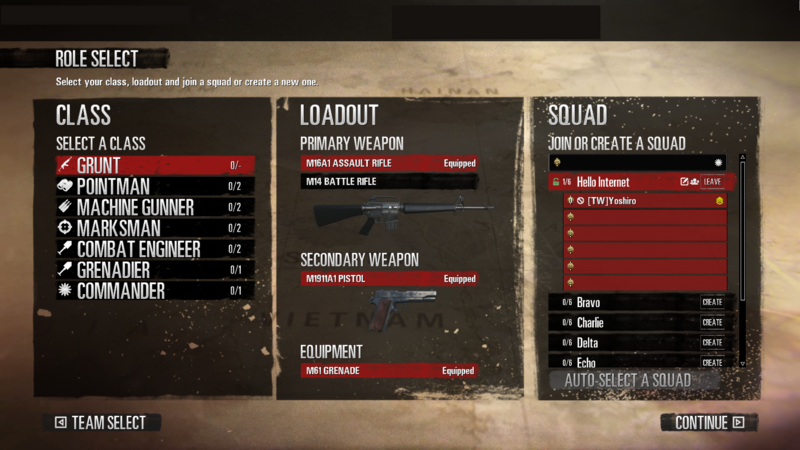 As players hop into a server they will be presented with the faction selection and role menus. After choosing between the North and the South faction available on the map players will have to select their class, loadout and squad. We’ve talked about collapsible stocks and today I have a new .webm that shows off how that is currently working. I really hope we will get bigger maps than RS/Ro2 had, i love flanking. 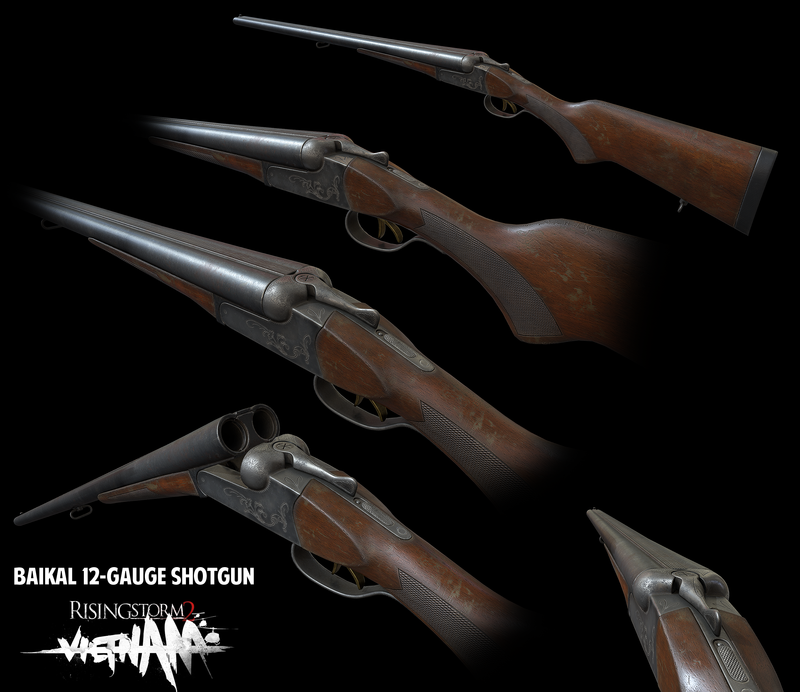 Update with some pictures of the double barrel shotgun and some in game footage! interview with about 5 mins of gameplay. "On the plus side, you can prop a gun up on a ledge for greater stability and ease of aiming. That applies to snipers as well, because Rising Storm 2 doesn't use a "hold your breath" mechanic for aiming while sniping either." Well, i think we have confirmation the game is going to a even more arcade route than RO2 went. yea, but they said they were adding in that weapon sway. We'll have to see how much that counters out the hold breath. Still weapon sway won't be active when you have placed your weapon on a object. "We're going to do a series of small alpha and beta stages", lets hope its not as bad as KF2 EA. Also love how they don't have an official number of maps they want to release with. Makes me question their organizational methods. Antimatter Games developed the sequel and published by Tripwire Interactive. Wait, so Tripwire doesnt even make their own games anymore? If it is just as unstable as RO2 is, then what good are the new features or even different setting? I don't know why they went with Unreal Engine 4, it has so many better features. I think you meant "why they didnt go with Unreal Engine 4. My theory is that they used Unreal Engine 3 because they had all the framework already done from Rising Storm and RO2. I think that you will see RO3 on Unreal 4 realtively quick (2-3yrs). At least that is my hope. This is just something to keep the community engaged until they release the big one. 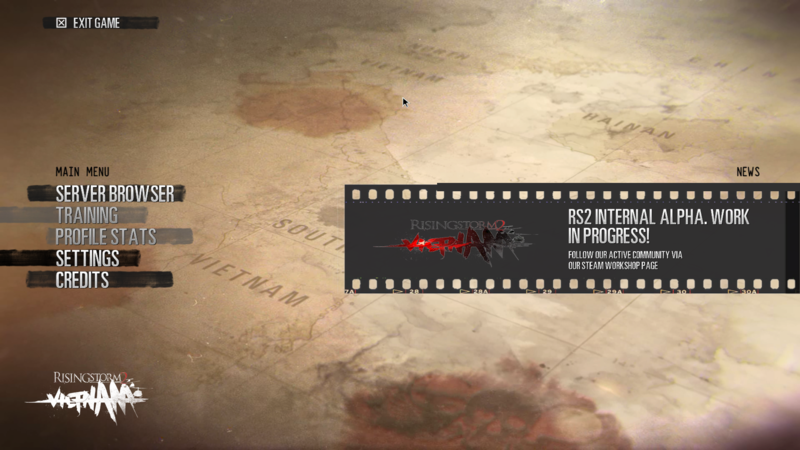 Lets be honest, there isn't a whole lot of innovation in RS2 from what we have seen. A modding community with the tools could of pulled this off pretty quick. We already had that stuff in RO1 with the Panzerfausts.